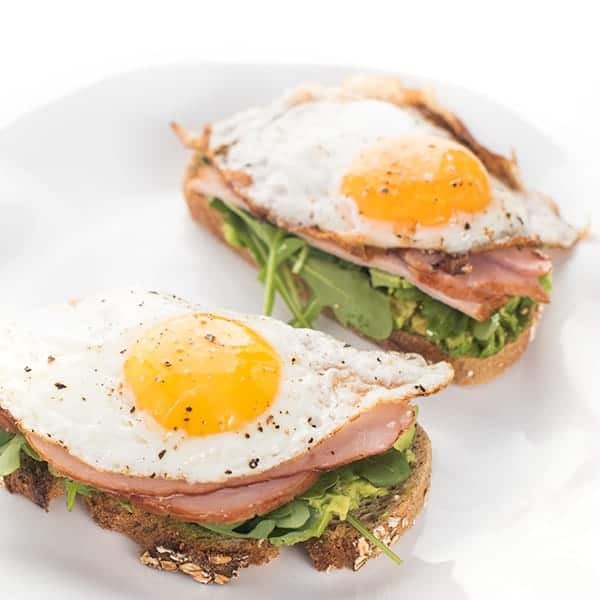 Whole grain bread is toasted then topped with creamy avocado, spicy arugula, smoked ham and a runny egg. If avocado toast is so 2013, then call me old school because this girl can’t quit it. 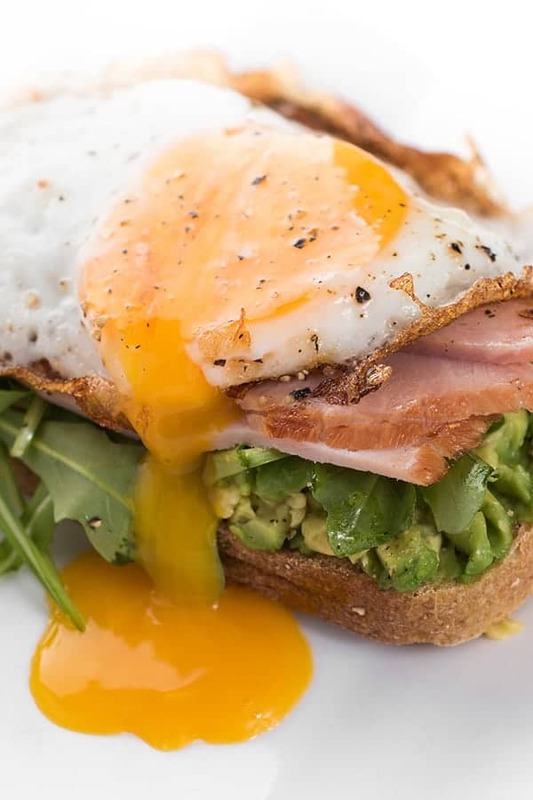 The ultimate 6 minute breakfast recipe, my boys love it just as much as I do these days! 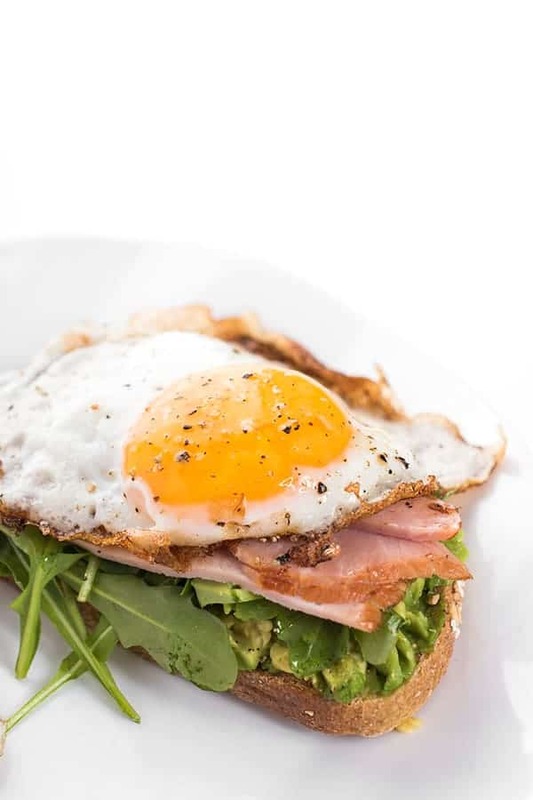 While avocado toast on its own is perfectly delicious, I love topping it with spicy arugula leaves, smoky, thick-cut ham and a runny fried egg. 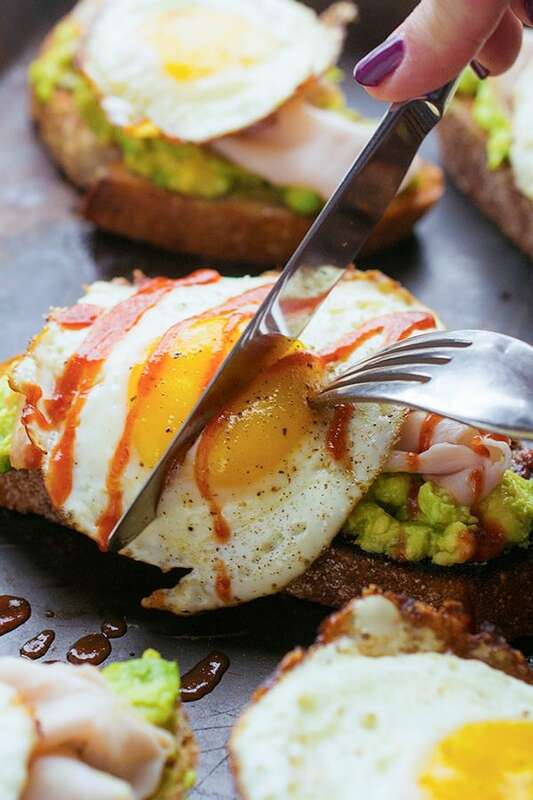 As you crack into the yolk, the creaminess pairs perfectly with the velvety avocado. 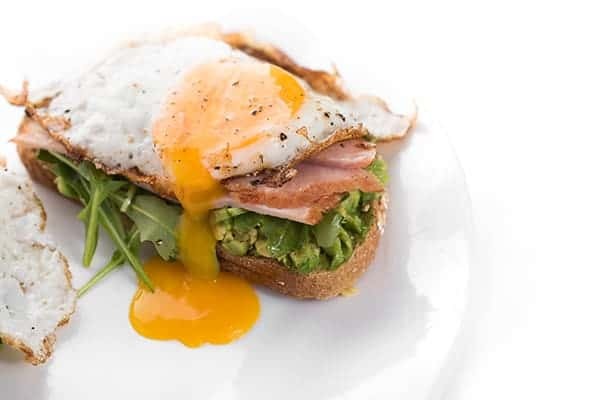 Packed with omega-3’s and healthy nutrients found in the yolk, this breakfast is packed with energy to keep you going all day long. If you want to skip the ham, feel free to double up on the eggs. Smoked turkey or bacon works great too, of course. Place bread in toaster and toast until golden brown. 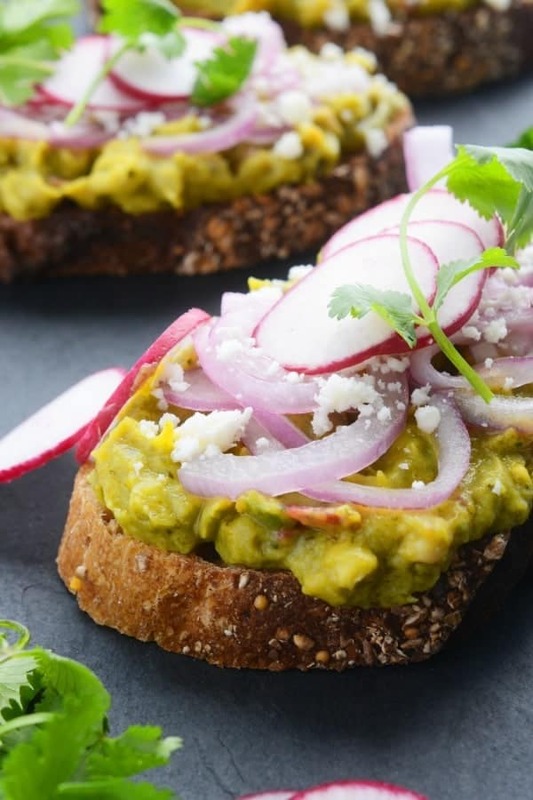 Remove toast from toasted and spread 1/4 of the avocado on each slice, using a knife to carefully press it into the bread like a spread. Sprinkle to taste with salt and pepper. 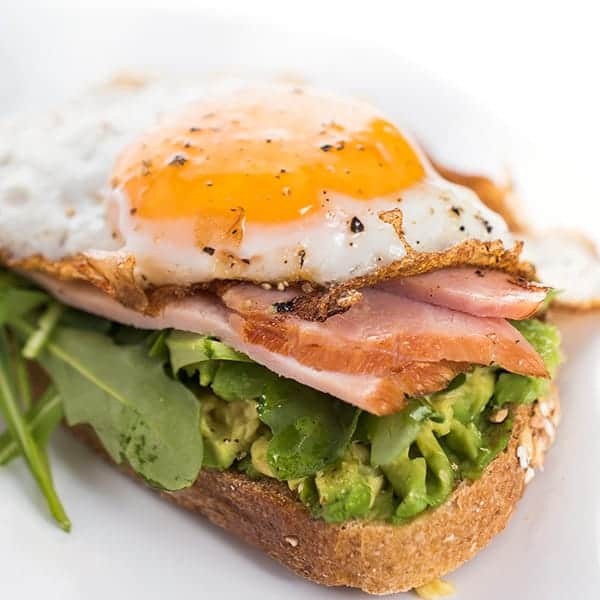 Top each avocado toast with arugula, ham and an egg. Sprinkle again to taste with salt and pepper before serving. You can easily double recipe if you want two slices per person. 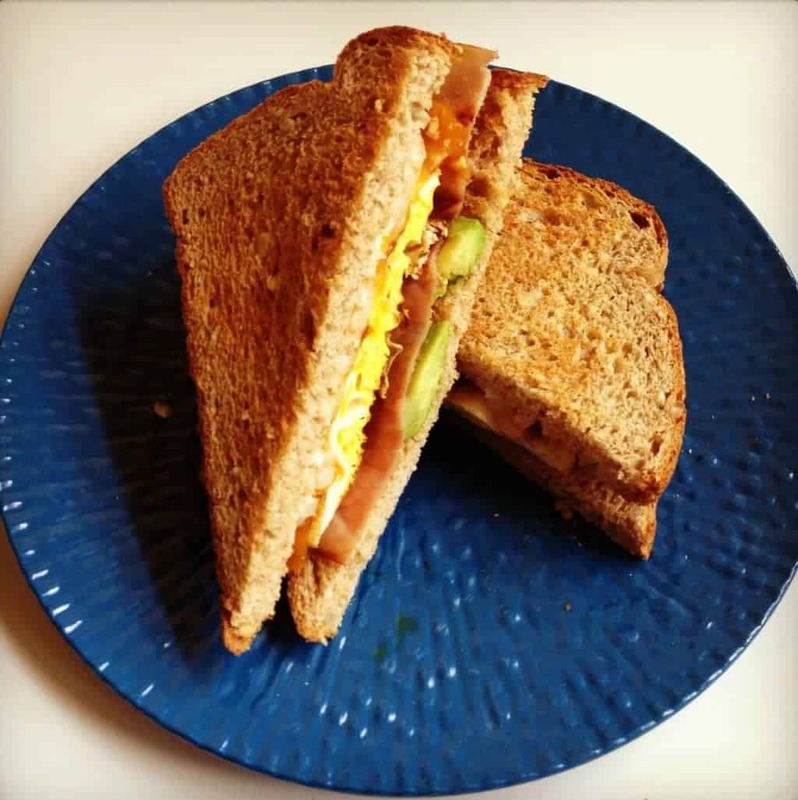 Check out more healthy breakfast ideas on my Pinterest board! This is my kind of breakfast! Hearty, warm, and healthy! Love it! It looks absolutely gorgeous and delicious. This is exactly the breakfast to kick start a new day. Thanks for sharing. Gorgeous! This is certainly Eastery! Happy Easter! Thanks so much Mimi you too!